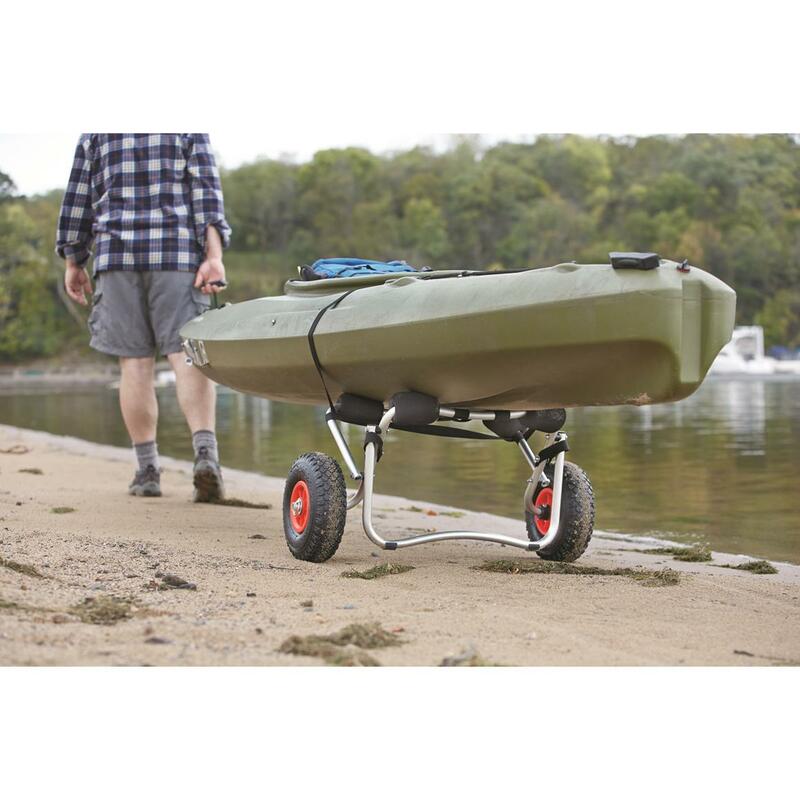 Our Guide Gear® Canoe/Kayak Carrier Cart is the easy way to get your canoe or kayak from the car to the water and back. 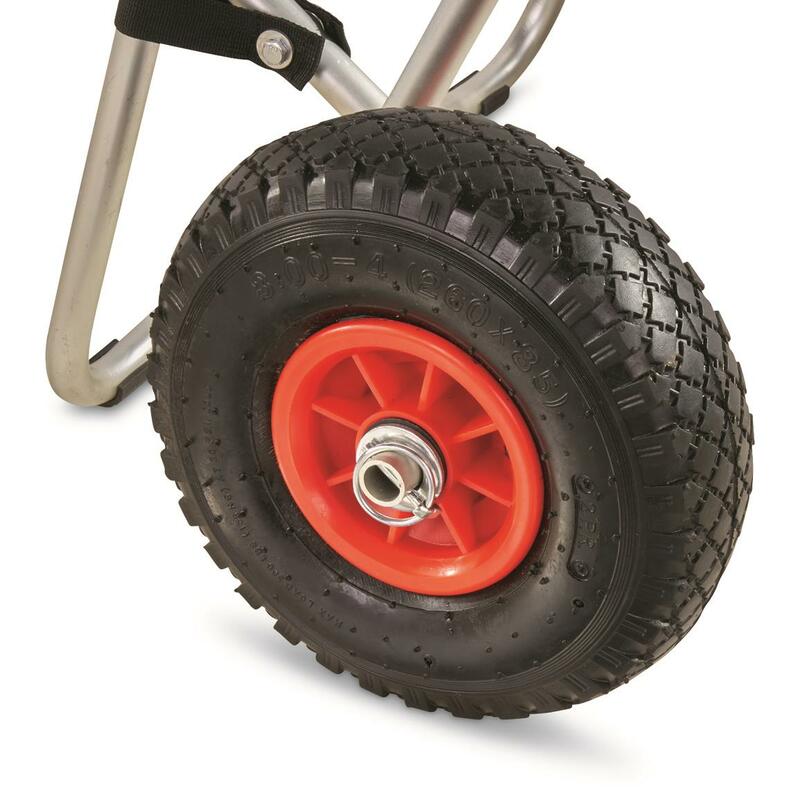 Large solid rubber tires give you clearance and confidence against developing a flat. 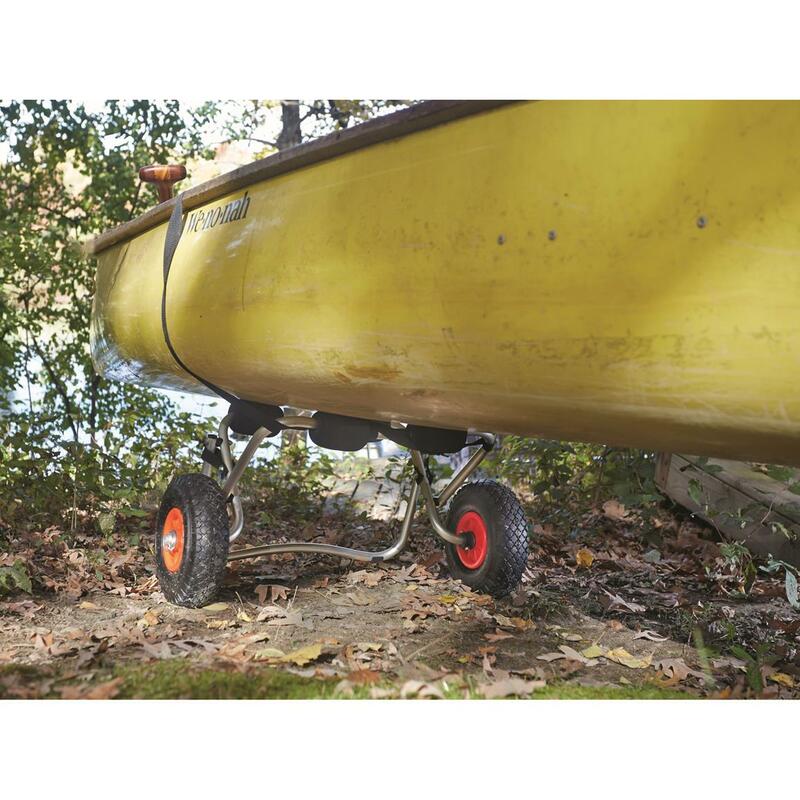 Solid aluminum frame is lightweight yet holds up to 300 lbs. 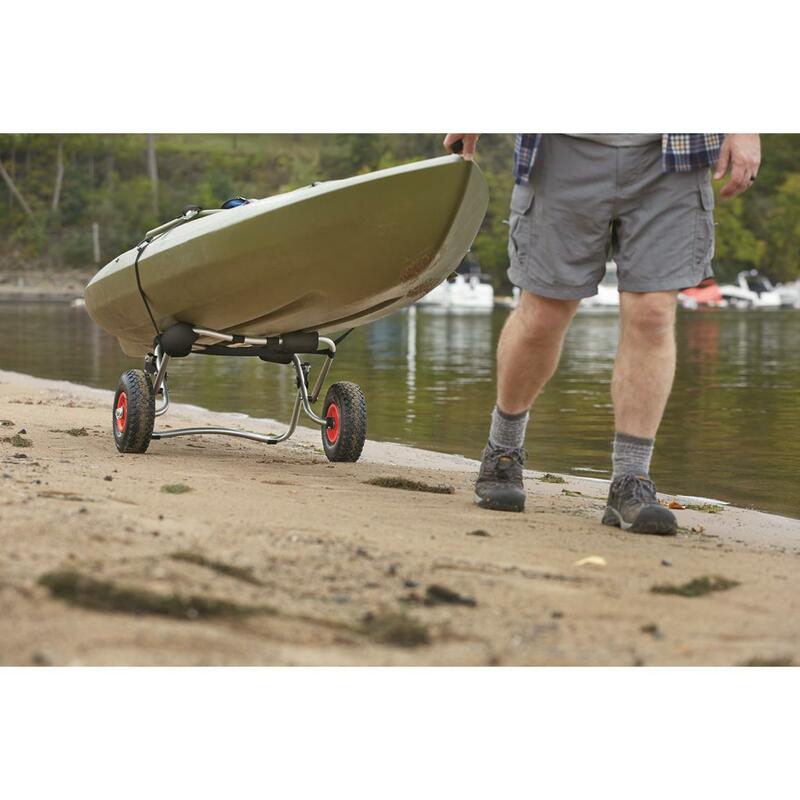 to let you pack your boat and supplies needed for a day of fishing or exploring. 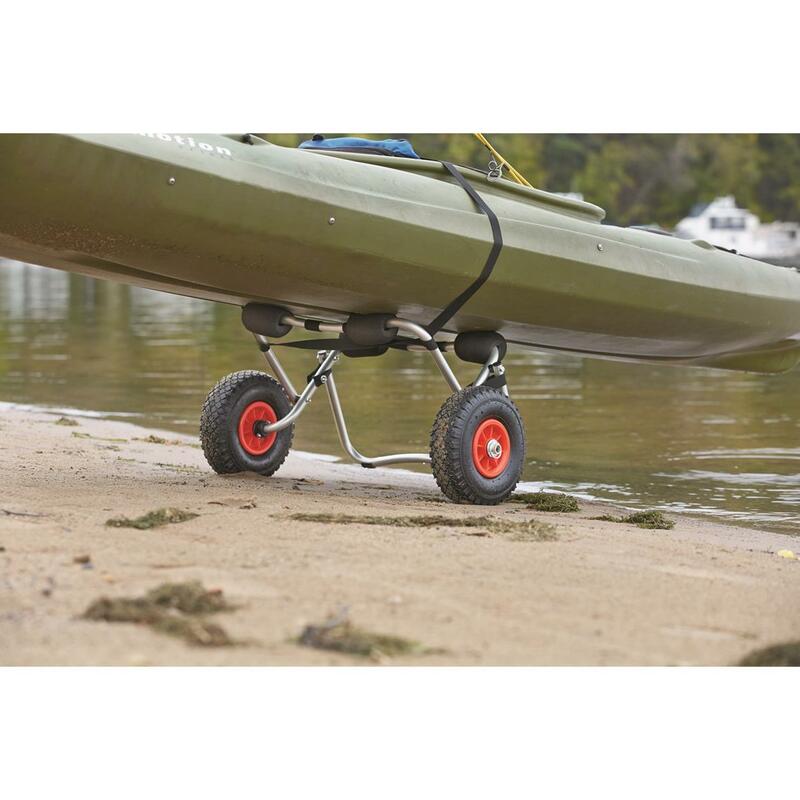 Foam bumpers cradle your watercraft while you roll along rutted roads. 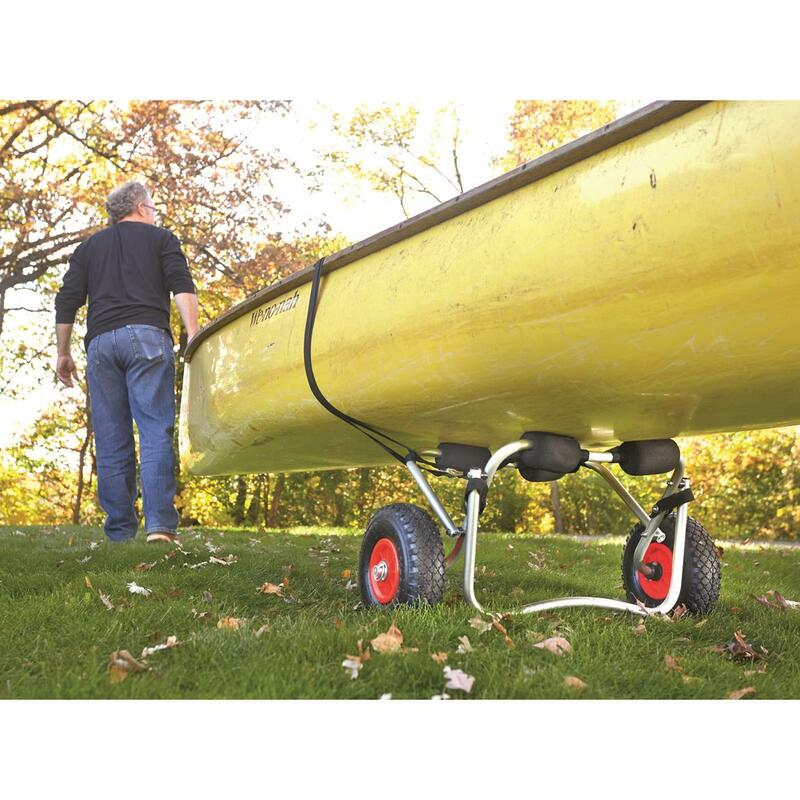 One-piece tube kickstand holds the cart in place during loading/unloading and the entire cart disassembles for easy moving and storage. 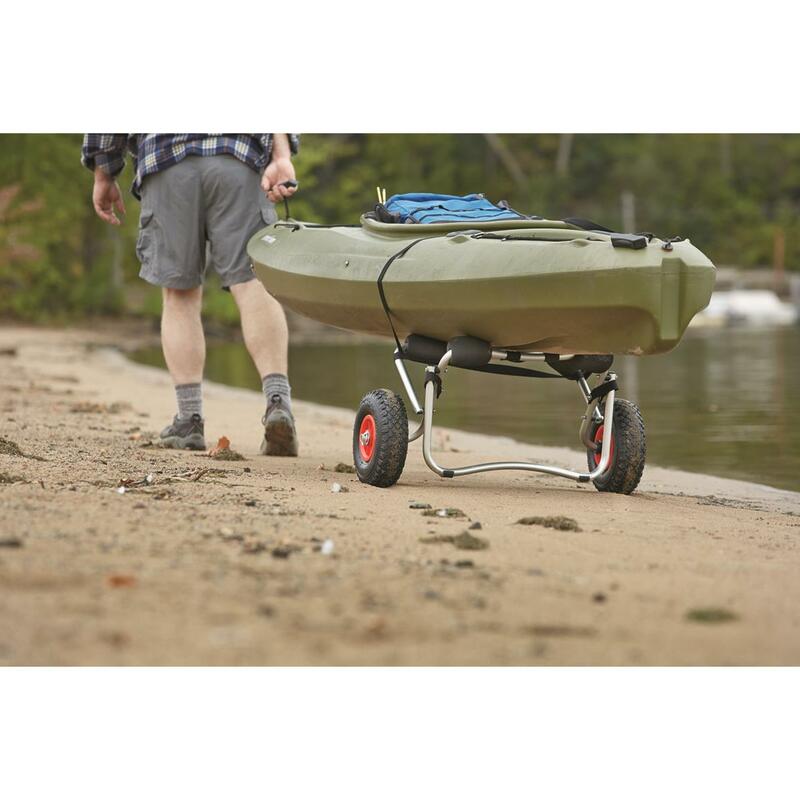 Guide Gear Kayak Canoe Carrier Cart is rated 4.0 out of 5 by 1. Rated 4 out of 5 by Butch from A really nice, affordable backsaver. We have a deep sea kayak and a three man flat-bottom canoe that we keep at the back of our yard which is a good distance from our driveway. 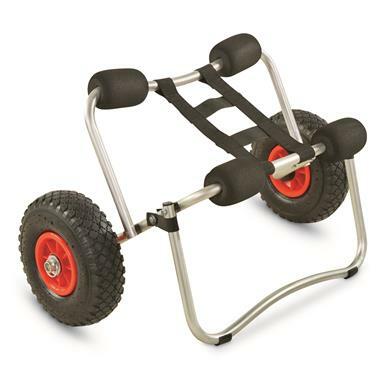 This carrier cart has made it so I can move each one or the other across the yard without dragging them or trying to get/find someone to help. 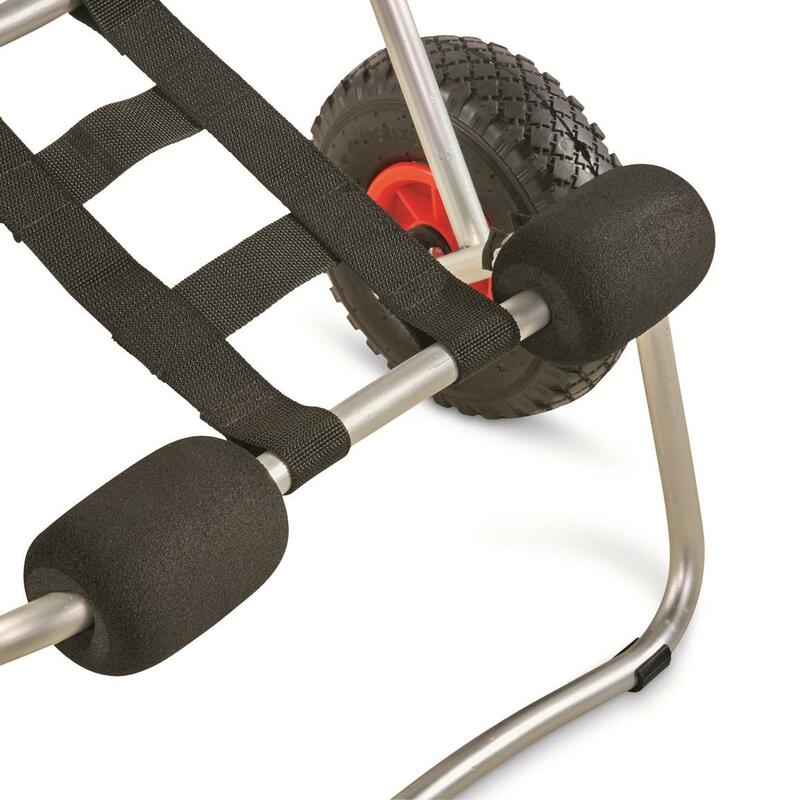 (my wife didn't like to carry one end of either as both are really heavy) Just make sure that you see/notice that one bracing bar is used to stabilize the carrier on the ground while loading. Definitely worth the money!